The city magazine of St. Augustine – making neighbors out of strangers, one story at at time. 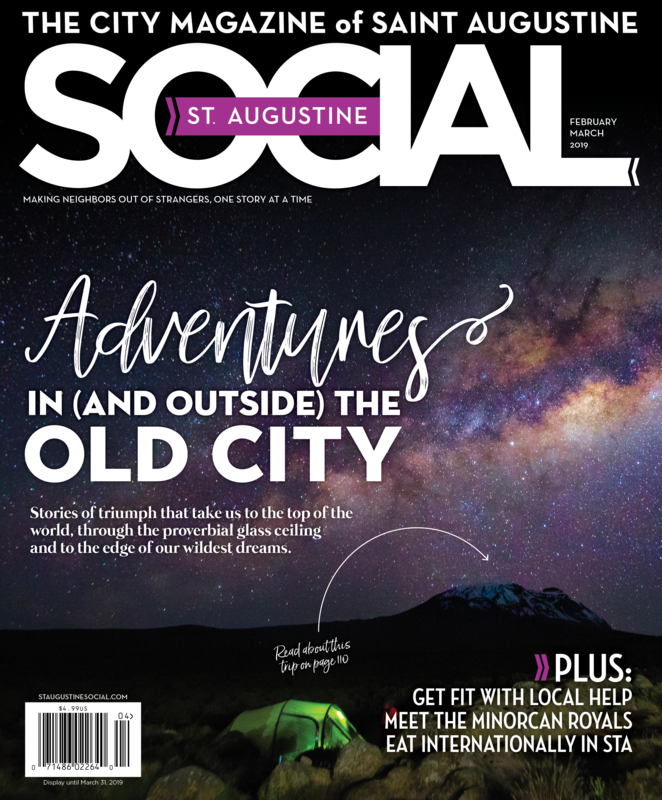 St. Augustine Social discovers interesting stories and interprets St. Augustine's unique culture in a way that uplifts, educates and enlightens LOCAL St. Augustinians. We live to create compelling imagery and engage in a warm, playful dialogue that promotes our town and the talent, commerce, food flavors, and top tastemakers that live here. New subscriptions will begin with the following issue. Subscriptions received after the 20th of Jan, Mar, May, Jul, Sep, Nov, will begin with the following issue. Up to 9 weeks later. Automatic Renewal: We will charge the card you provide at our then current rate until you tell us to stop. Toward the end of each term, you will receive a reminder notice before your card is charged. You may cancel at any time.